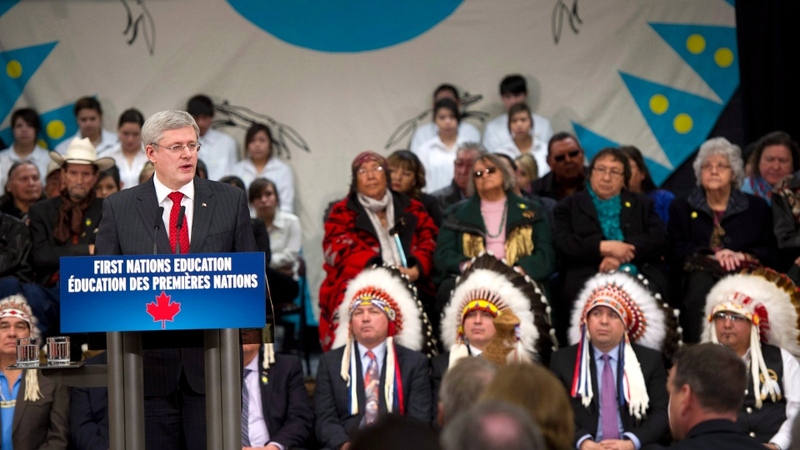 Prime Minister Stephen Harper discussing his government’s plans to improve Aboriginal education in Canada. Thank you for visiting this webpage! It was designed in order to give you, the viewer, an understanding of the various issues surrounding Aboriginal education in Canada and the different factors that influence it. This page will give background information on the history of Aboriginal education policies in Canada, examine the current crisis that exists, analyse the federal government’s current polices, and offer alternative solutions to improving the quality of Aboriginal education in the country.